The I Ching (pronounced ee-ching) is the oldest and most respected oracle or divinatory system in the world. There are currently two translations available which offer somewhat conflicting interpretations - the popular Confucian version and an earlier Taoist version called Zhouyi. Reconstructed by twentieth-century scholars and archaeologists, Zhouyi presents the highly imaginative world of myth and ritual that is the hidden base of thousands of years of Eastern thought. Now, for the first time ever, Stephen Karcher fuses these two traditions using modern scholarship and archaeological and linguistic research, along with a wide background in Eastern philosophy and comparative religion, and presents them to the modern Western reader in a comprehensive and accessible new form. 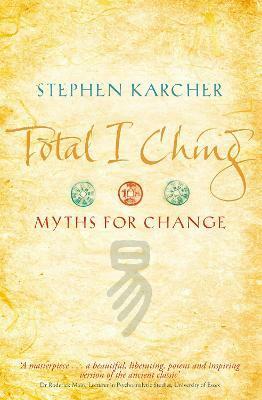 TOTAL I CHING is a complete oracle with instruction for immediate use in all life situations, but is also the first translation to detail the mythology of the divinatory system, offering a revolutionary new approach to the world's oldest wisdom tradition. Stephen Karcher PhD has worked with divinatory texts for more than 30 years. He was a speaker at the Eranos Foundation and supervised their I Ching Project. He is widely acknowledged to be one of the world's leading experts on the psychological and spiritual uses of divination.